Kimberly Margaret Frontczak, age 53, passed away unexpectedly Thursday, November 16, 2017 at her home. 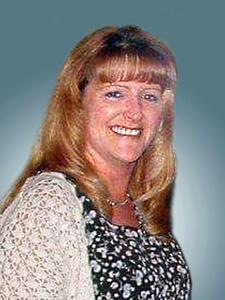 She was born in Racine, July 4, 1964, daughter of the late John and Dolores (Nee: Becraft) Beckett and attended J.I. Case High School. Kim enjoyed spending time at home with her dog Jasper in addition to reading and watching both NASCAR and the Green Bay Packers. Earlier when her children were young she enjoyed many outdoor activities such as camping. She will be dearly missed. Surviving are her children, Andrew (Samantha) Kueffler of Poynette, Joshua Kueffler of Waukesha; a grandson, Hunter; siblings, Christine (Michael) Cuccia, Dennis (Sandy) Beckett; nieces, nephews, other relatives and dear friends. In addition to her parents she was preceded in death by her husband, Mark Frontczak; infant daughter, Michelle; and brother, John Beckett. Services will be held Wednesday, November 22, 2017, at West Lawn Memorial Park Chapel, 9000 Washington Ave. Relatives and friends may meet 12:00 P.M. until 1:00 P.M. A prayer service will be held at 1:00 P.M. followed by private interment.